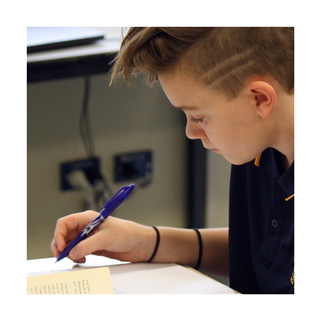 The learning programs at Springbank are developed within Australian Curriculum and SACE requirements and are integrated across curriculum areas where appropriate. Springbank Secondary College is further developing interdisciplinary inquiry based learning within Science, Technology, Engineering, Arts and Mathematics (STEAM) pedagogy in partnership with the Australian Science and Mathematics School (ASMS). • Small classes and interdisciplinary curriculum in the middle school. • Programs to meet individual needs including extension programs as well as initiatives and intensive support for students with learning difficulties. • Teaching and learning collaboration with the Australian Science and Mathematics School. • The state of the art Trade Training Centre supports the delivery of the Doorways 2 Construction program at Springbank. The Trade Training Centre boasts the latest equipment for students to enhance their learning in a variety of trades including carpentry, paving, brick laying and concreting. Two programs are run Certificate 1 in Doorways 2 Construction in Year 11 and partial Certificate 3 in Year 12 through Doorways 2 Construction Plus. • Extensive Vocational Education and Training (VET) curriculum offerings by networking with Inner South Curriculum Alliance and Construction Industry Training Board. • The provision of English as an Alternative Language learning programs.